When it comes to which room in your house is the most comfortable, most people would probably choose their bedroom. The centerpiece of any comfy bedroom is, of course, the bed. 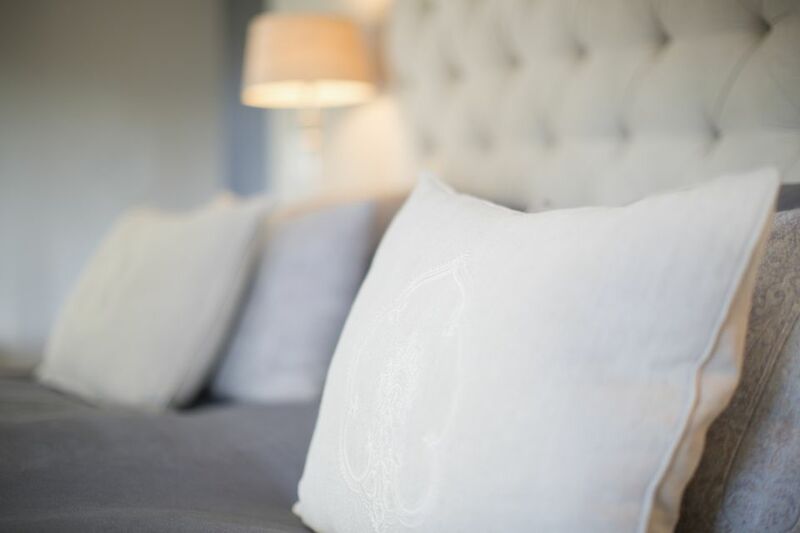 But not just any bed one outfitted with a fluffy duvet and silky duvet cover almost guarantee a good night's sleep. Especially if you live in a cold area duvet's are a must in terms of warm bedding. However, many people are hesitant to purchase a good duvet out of fear of the upkeep. While it's true that a good duvet isn't as easy to clean as your average comforter, it's well worth the extra effort. Here's everything you'll need to know about the use and cleaning of duvets. A duvet is a type of blanket for a bed. It's made like a large bag, usually of good quality, high-thread-count cotton, filled with feathers, down, silk, wool, or polyfill. A duvet takes the place of a sheet and blanket, all in one piece. If you are allergic to feathers or down, then you should choose a hypoallergenic material like polyfill. A duvet cover is like a large pillowcase for a duvet. The duvet fits inside the cover which buttons or zips closed at one end. Some duvet covers are basic and plain looking, made from fabric like a sheet. Some duvet covers are made from decorative fabrics to complete the bedroom decor. You can buy one that is as simple or decorative as you want. A duvet cover is a relatively inexpensive way to change the look of your room without investing in a new blanket. They're also easier to store. Browse some of our favorite duvet covers here. Shake and fluff a duvet every morning after use. This will help to keep the feathers or other fill evenly distributed. If you keep a duvet cover on the duvet, you'll rarely need to clean the duvet itself. You should wash the cover as often as you change your sheets. It's usually recommended that when necessary, you wash your duvet in a large, commercial washing machine. Chemicals in dry cleaning can break down the fibers of the fill. Dry a duvet using the gentle heat setting on the dryer. When it's partially dry, take it out, give it a good shake to break up damp clusters of filling, and finish the drying. Hang a duvet out to air dry for at least 24 hours to make certain all sections are dry before replacing on the bed. If you keep the duvet inside a duvet cover, it will stay clean and fresh for months. Wash or clean the duvet cover according to manufacturer's instructions. If you like the extra crisp look, you can iron the cover before placing it back over the duvet.